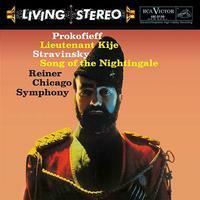 One of the most sought-after Living Stereos and deservedly so, especially for the "Song of the Nightingale" which is one of Mohr and Layton's finest efforts. The sound is truly wonderful on the Stravinsky too. The original 3-track session tapes were used in mastering for this edition.